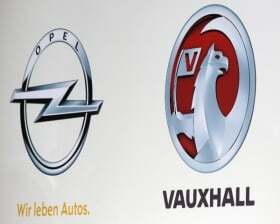 DETROIT -- General Motors Co. CEO Dan Akerson said the company's Opel/Vauxhall unit in Europe isn't for sale. "We don't comment on speculation, and there's been a lot of speculation. But I will say this: Opel is not for sale," Akerson told reporters in Detroit. GM has lost $14.5 billion in Europe since 1999. GM said in a July 13 statement on its Web site that Volkswagen AG CEO Martin Winterkorn was stoking speculation that GM was looking to sell Opel. The VW chief's comments followed reports last month in German magazines Der Spiegel and Auto Bild that GM may be considering a sale of Opel. Akerson spoke at a briefing on Wednesday with reporters at the company's Detroit-Hamtramck vehicle-assembly plant, which builds the automaker's Chevrolet Volt plug-in hybrid car. Opel, based in Ruesselsheim, Germany, is working with AlixPartners on tweaking options packages or production plans to spur higher prices, two people familiar with the matter said this month. They are also studying ways to reduce engineering and manufacturing costs, said the people, who asked not to be identified disclosing private plans. Some new features include headlights tuned to high-speed driving on the autobahn. VW's Winterkorn was quoted in the Frankfurter Allgemeine Zeitung earlier this month saying that if Opel were for sale, a Chinese automaker would be more likely than Hyundai Motor Co. to buy it. The comment "continues a regrettable pattern of fanning speculation" that Opel is on the sales block, GM said on July 13. The automaker said it is making progress in restructuring the business. Whether true or not, Akerson's statement was necessary to protect Opel's sales and employee morale, said Jefferies analyst Peter Nesvold, who has a "hold" rating on GM's shares. "Most CEOs in this position will tell you a division is not for sale until it's sold," he said. "I've seen the story before." Opel's market share in Europe rose to 7.4 percent from 7 percent for the first five months of this year. but the brand emains a high-cost player in a low-growth region, in a segment dogged by cutthroat competition, leading to speculation of a sale or labor concessions by its workers. In 2009, GM dropped plans to sell Opel to Canada's Magna International Inc. and its Russian partners after months of negotiations and launched a restructuring to get the unit, which lost $1.6 billion last year, back on track. European operations would have broken even in the first quarter without a $395 million charge to goodwill, GM said in May. Opel is expected to break even this year and show a profit in 2012, but its management said it will likely take about five years to restore the brand's image in its home market of Germany. People familiar with GM's thinking previously told Reuters that Akerson was reviewing options for Opel, a unit he wanted to sell in the past and with which he remained frustrated. Akerson was one of only two GM board directors to vote in late 2009 against keeping Opel, believing Europe was a market of national champions -- VW in Germany, Fiat in Italy and Renault in France -- and pan-European luxury brands such as BMW and Mercedes, a person familiar with the executive's thinking previously said. At GM's June annual meeting, Akerson was clear where Opel stood in GM's portfolio, calling it a regional brand that would support the two global brands of Chevrolet and Cadillac. The automaker relies on Opel to engineer small and midsize cars, such as the Chevrolet Malibu midsize sedan and Cruze compact. Several analysts said an outright sale of Opel would be a challenge because of the heavy degree of technology and platform integration between Opel and the rest of GM. The Times of London reported this month that GM killed the sale of Opel in 2009, citing GM insiders as saying they had concerns Russian automakers would gain access to Opel's technology and patents.